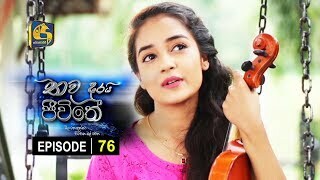 Thawa durai jeewithe Episode 78 || තව දුරයි ජීවිතේ . . සතියේ දිනවල රාත්‍රී 8.00 ට . . . .
Thawa durai jeewithe Episode 85 || තව දුරයි ජීවිතේ . . සතියේ දිනවල රාත්‍රී 8.00 ට . . . .
Thawa durai jeewithe Episode 84 || තව දුරයි ජීවිතේ . . සතියේ දිනවල රාත්‍රී 8.00 ට . . . .
Thawa durai jeewithe Episode 83 || තව දුරයි ජීවිතේ . . සතියේ දිනවල රාත්‍රී 8.00 ට . . . .
Thawa durai jeewithe Episode 82 || තව දුරයි ජීවිතේ . . සතියේ දිනවල රාත්‍රී 8.00 ට . . . .
Thawa durai jeewithe Episode 81 || තව දුරයි ජීවිතේ . . සතියේ දිනවල රාත්‍රී 8.00 ට . . . .
Thawa durai jeewithe Episode 80 || තව දුරයි ජීවිතේ . . සතියේ දිනවල රාත්‍රී 8.00 ට . . . .
Thawa durai jeewithe Episode 79 || තව දුරයි ජීවිතේ . . සතියේ දිනවල රාත්‍රී 8.00 ට . . . .
Thawa durai jeewithe Episode 77 || තව දුරයි ජීවිතේ . . සතියේ දිනවල රාත්‍රී 8.00 ට . . . .
Thawa durai jeewithe Episode 76 || තව දුරයි ජීවිතේ . . සතියේ දිනවල රාත්‍රී 8.00 ට . . . .
Thawa durai jeewithe Episode 75 || තව දුරයි ජීවිතේ . . සතියේ දිනවල රාත්‍රී 8.00 ට . . . .
Thawa durai jeewithe Episode 74 || තව දුරයි ජීවිතේ . . සතියේ දිනවල රාත්‍රී 8.00 ට . . . .
Thawa durai jeewithe Episode 73 || තව දුරයි ජීවිතේ . . සතියේ දිනවල රාත්‍රී 8.00 ට . . . .